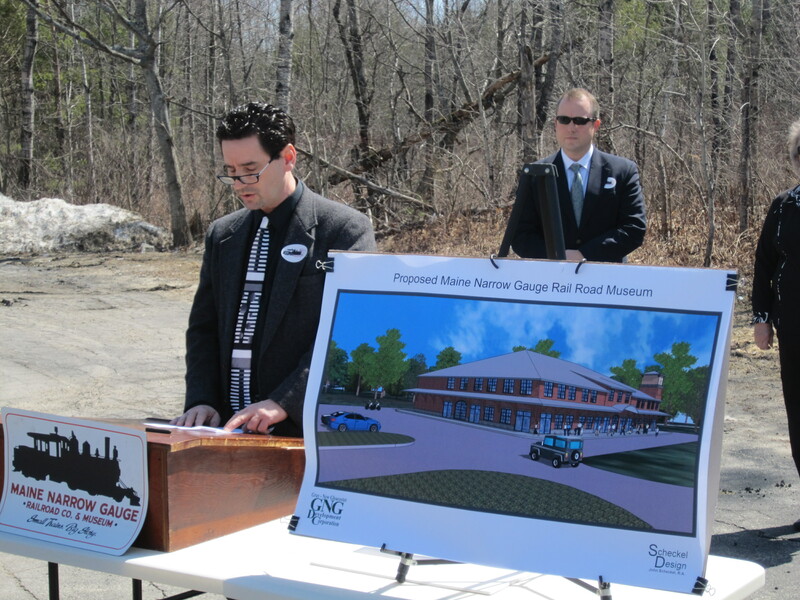 The Maine Narrow Gauge Railroad Co. & Museum took a major step forward toward relocating their operations in Gray on Friday, April 11, 2014. 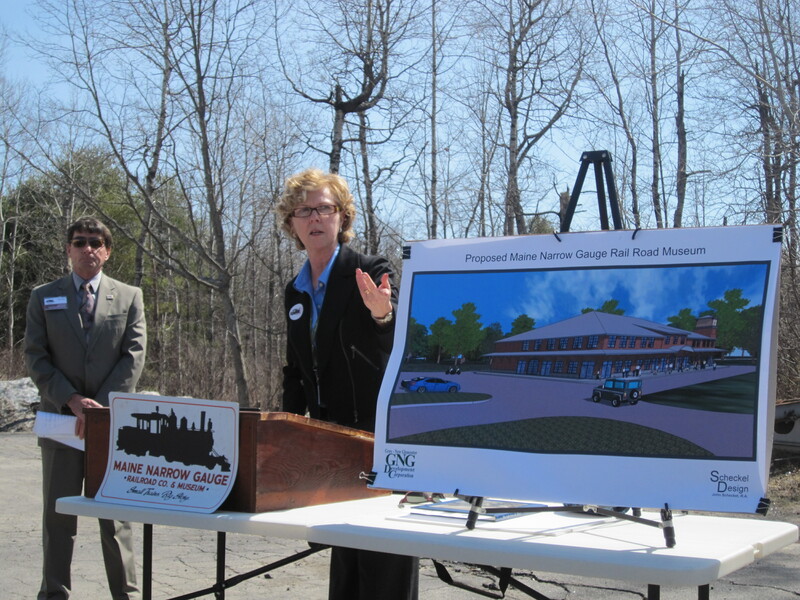 On site of the proposed new museum and train station, the Gray Plaza on Portland Road in the Town of Gray, Central Maine Power presented the deed for the right-of-way to the Maine Narrow Gauge. 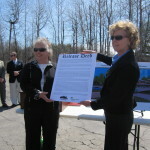 Alice Richards presents the deed to the CMP Right of Way to the Interurban rail bed between Yarmouth and Long Hill Roads – the future home of the of the narrow Gauge Train line. 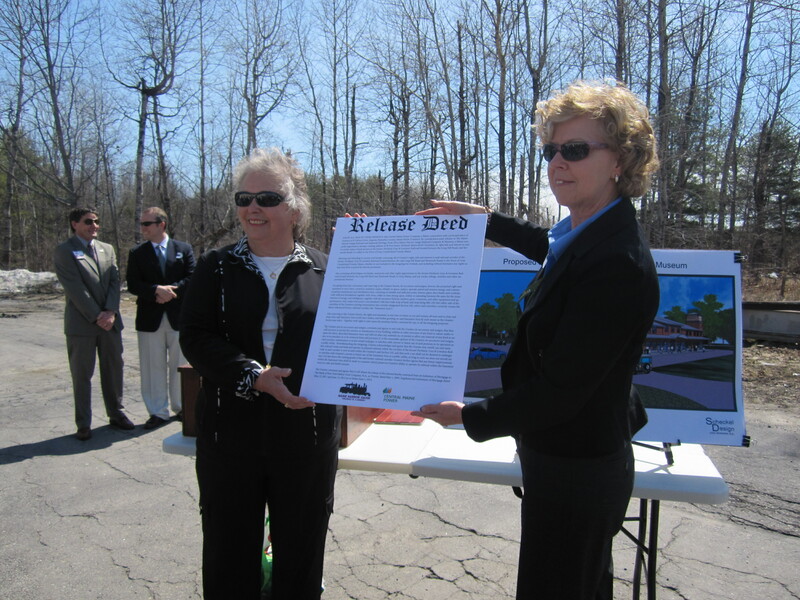 “This is the key to progress for the project to move forward,” said Donnell Carroll, Executive Director. 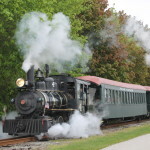 “The right-of-way along the former rail-bed of the Portland–Lewiston Interurban provides the necessary path for us to proceed.” Central Maine Power Company owned the right-of-way and had been negotiating language with the Maine Narrow Gauge in order to donate the property that will provide the route for the historic rail line to operate on. 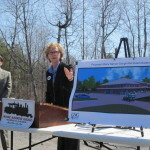 Representatives from all the parties involved in the relocation effort were present at the ceremony. 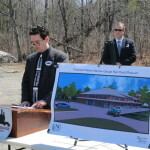 Included were owners of the Gray Plaza, town officials, development corporation members, CMP, and Maine Narrow Gauge. 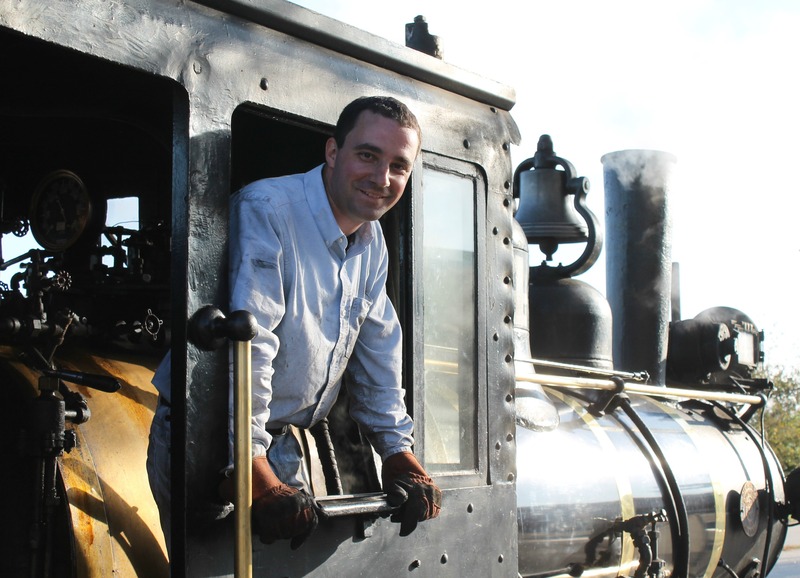 Founded in 1992, the Maine Narrow Gauge Railroad Company & Museum is a non-profit museum with a mission to educate the public and preserve historic equipment related to Maine’s two-foot gauge railways. 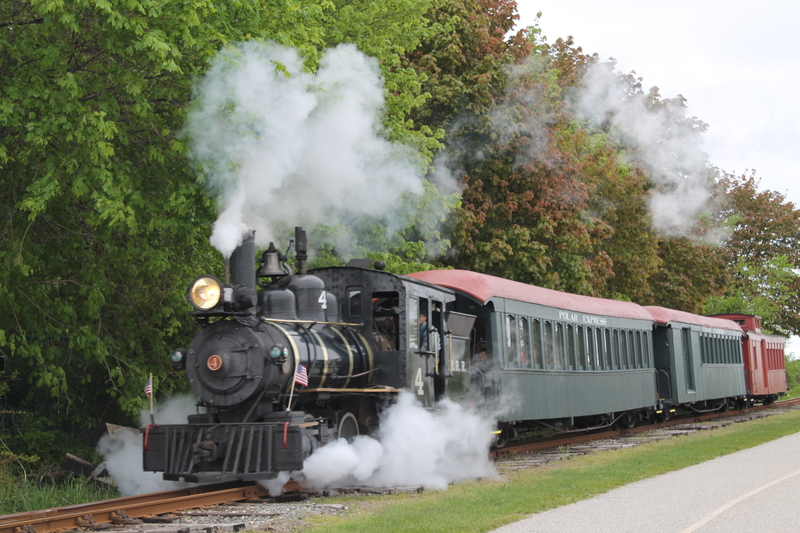 Five two-foot gauge railroads operated in the state from the 1870’s through the 1940’s, serving as an important part of the economic development of the interior of Maine. The museum has become an important visitor attraction for the greater Portland area drawing over 32,500 visitors annually to experience this remarkable piece of history unique to the state of Maine. 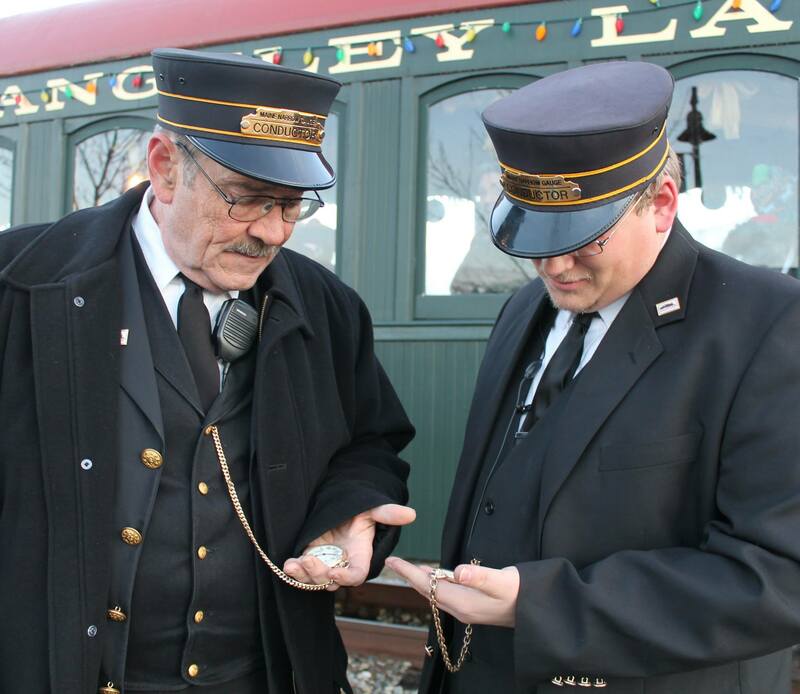 The museum is open from May 10th through October 19th, Saturdays through Thursdays, and seasonally for events. The museum is closed on Fridays. 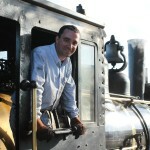 The railroad is located at 58 Fore Street in Portland, on the waterfront, just a short walk from the Old Port. Directions and more information about the museum can be found at www.mainenarrowgauge.org or by calling 207-828-0814.